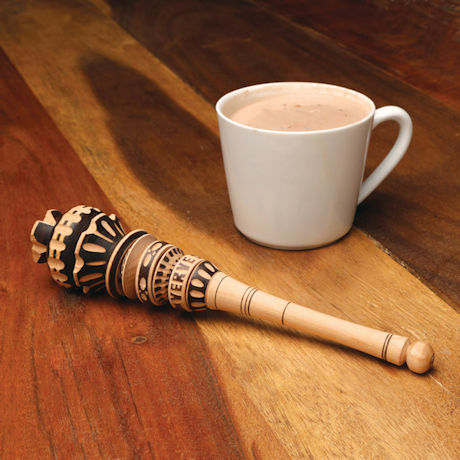 Hot chocolate is extra frothy and delicious when made with a Molinillo. Whip up your own amazing chocolate drinks with this authentic artisanal tool, used for centuries in Mexican and Central American kitchens. Turned, carved, and decorated with traditional burn marks, wood molinillo comes with instructions. About 10" long.